– Appreciate and maximize talents? – Be more flexible and creative? Get there with Grace. We use the TetraMap to help organizations and teams work together better, so that the group’s energy is focused where it needs to be. With individuals in coaching TetraMap is very useful in understanding self and in developing strategies to get different results when working with others. 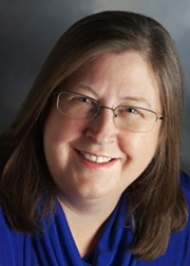 Sarah Spengler, Principal of Grace Partners, LLC is an experienced consultant, facilitator/trainer, and coach. Her 25 year career includes work in the health care, social services and community development arenas. She mixes her expertise in Organization Development with her skills in the Accelerated Learning approach to achieve significant results in partnership with her clients. She uses TetraMap to enhance the impact of trainings, offsites and change projects. Sarah has a Masters degree in Organizational Development, from Case Western Reserve University, Cleveland, Ohio. She is the current Board Chair of the International Alliance for Learning, a founder and current Co-President of Cleveland’s OD Connection and a member of the Cleveland Coach Federation. Sarah has been a Certified TetraMap Facilitator since 2004. What makes TetraMap my tool of choice in team-building? First and most important: The model makes SENSE to people so that they can quickly build a new vocabulary to use when talking about group process. Because the words we use can be so powerful, and because TetraMap provides new words with no baggage, groups comfortably begin to communicate in a new way. That is when it becomes unconscious and the group can get down to work. The new way of working begins very quickly in the session itself, so that individual members, with their new insights communicate more effectively. Seeing positive results so quickly acts as a motivator to continue the process. When I work with the TetraMap I see participants get engaged and excited about what they are learning about themselves and each other. That excitement seems to last well past the session as reported by my clients.